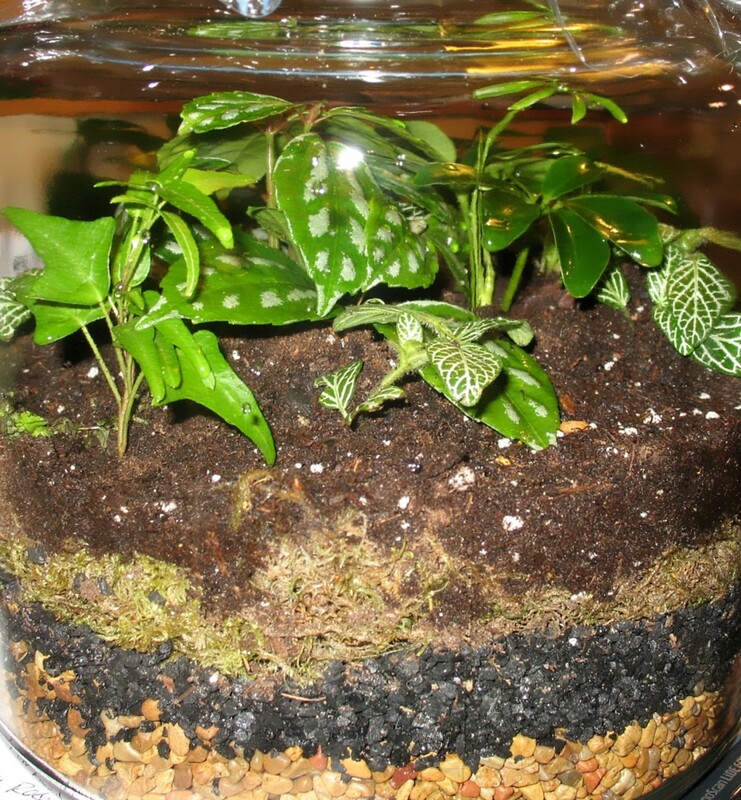 Have you ever made your own plant terrarium? A terrarium is a miniature ecosystem. By ecosystem I mean that it is a self-contained, self-sustaining environment, though much smaller and more controlled than in nature. Another word for this enclosed ecosystem is biome. Though miniature, it has all of the complex relationships found in nature (microorganisms; soil; water cycle; sunlight; and organic matter). Over time, a complete water cycle will develop. When water in the soil and between the rocks comes in contact with sunlight, the water evaporates, condenses on the walls of the container, and eventually falls down as droplets of rain, continuously watering and nourishing the plants. This cycle will continue as long as there is moisture and sunlight. 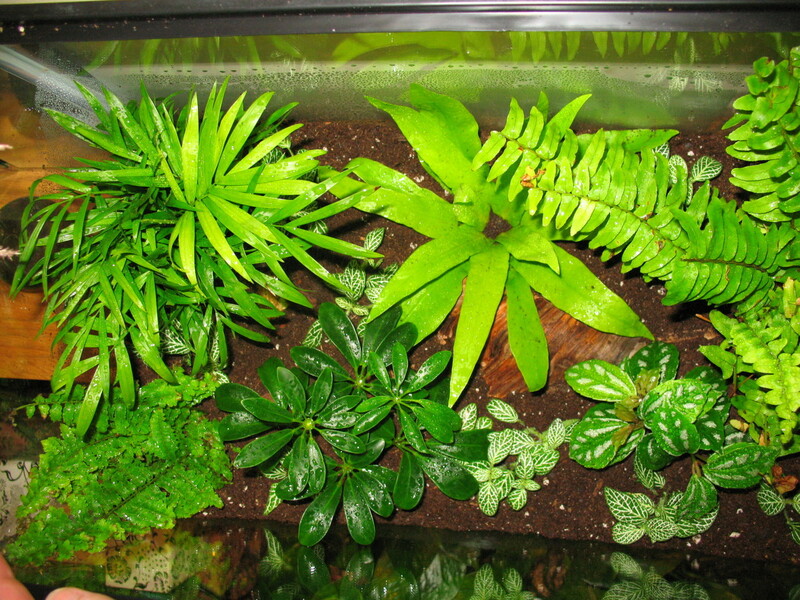 Setting things straight: A terrarium is a plant ecosystem, whereas a vivarium is a plant and animal ecosystem. This article will therefore focus on creating a self-contained plant ecosystem. Reptiles may be added to your terrarium, but will not be covered here. Terrariums are easy to make, easy to maintain, and are quite beautiful and intriguing! Depending on the container, mixture of ingredients, and plants, the terrarium can sustain itself for long periods of time--even decades! 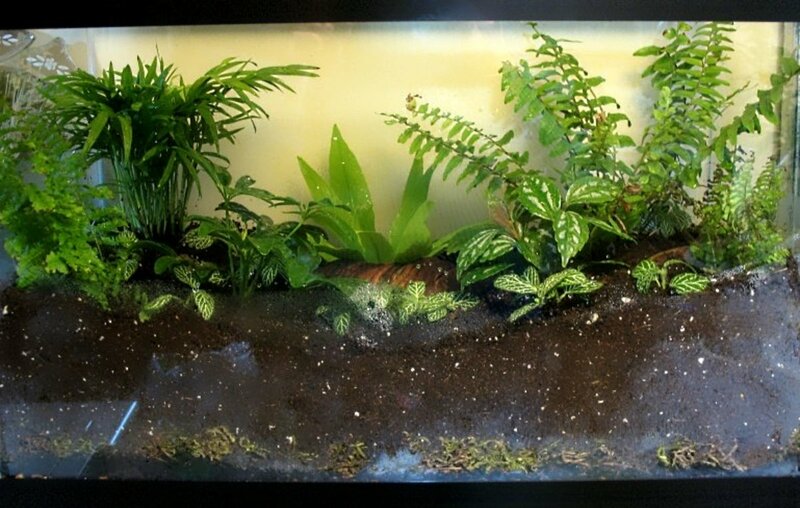 Please see the bottom of the page for example photos of my terrariums. 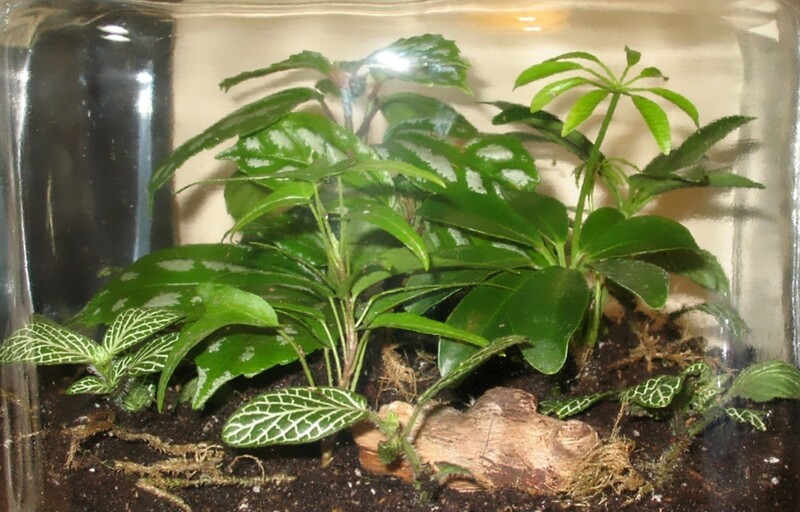 Rainforest and woodland environments are considered "true" terrarium environments. I haven't added the desert environment to this list because it's better suited to a rock garden setting. However, if you want to make a desert terrarium, I suggest using an open container with a large opening to let all of the moisture out, and instead of a rich soil, use a sandy cactus soil. Rainforest: tropical environment with tropical plants (bromeliads; ferns; moss; miniature palms; pothos; venus fly traps, etc). Requires bright, indirect light and warm temperatures (60-85F / 16-30C). Woodland: woodland environment with woodland plants (ferns; moss; violets; wintergreen; wild strawberries, ginger, etc). Requires low to medium, indirect light and cool temperatures (40-65F / 5-18C). When deciding which type of terrarium environment you'd like to make, consider what types of plants you'd like to grow, what ecosystem you're most interested in re-creating, and where in your home the terrarium will be placed. The rainforest will need more light, and the woodland will need less. Consider this when choosing the environment. Closed: a "true" terrarium that is self-sustaining and does not require watering. By a "closed" container, I mean one that has a lid, or one that you can make a lid for. Some people use glass jars, glass cookie jars, or aquarium tanks. However, it's quite easy to make any tall or bulbous glass container into a closed one by using glass or clear plastic for the lid. Open: requires water, but self-sustains to some degree. By an "open" container, I mean something like a bottle or a container that has no lid. 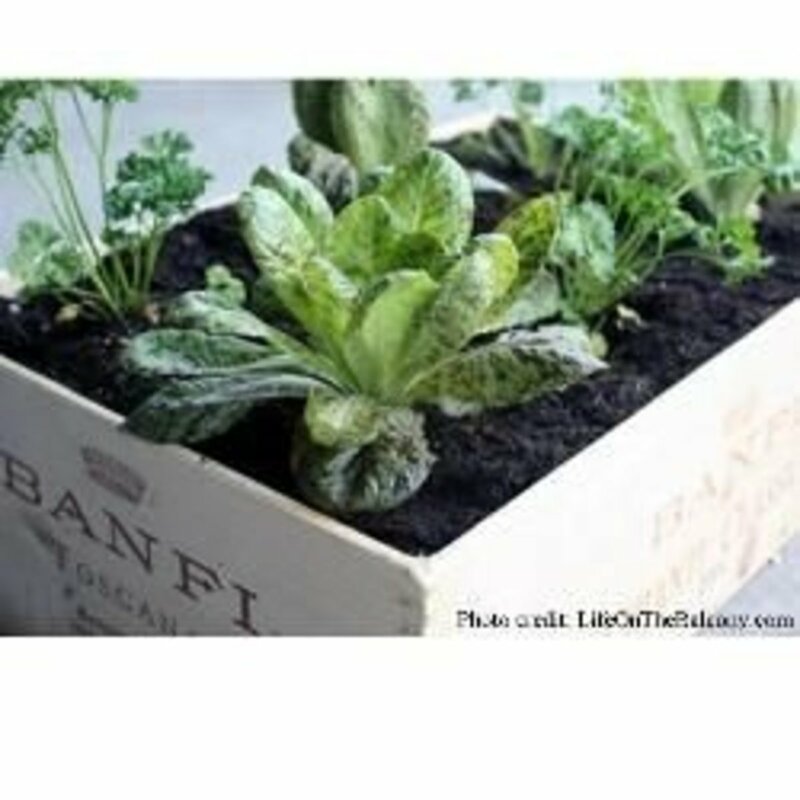 The sides should be taller than the plants inside by quite a few inches to help retain moisture. When choosing a container, keep in mind that you will need to plant plants at the bottom. Pick something equal to your level of patience and dexterity. Small-mouthed containers will require the use of long wooden stakes in order to plant the plants, while larger-mouthed containers may not. Remember that, even when you buy short or dwarf versions of plants, they will grow taller over time. Make sure your container is taller than your plants, preferably by quite a few inches to allow for growth. All of these items are inexpensive and easily available either online or in your favorite local do-it-yourself store. 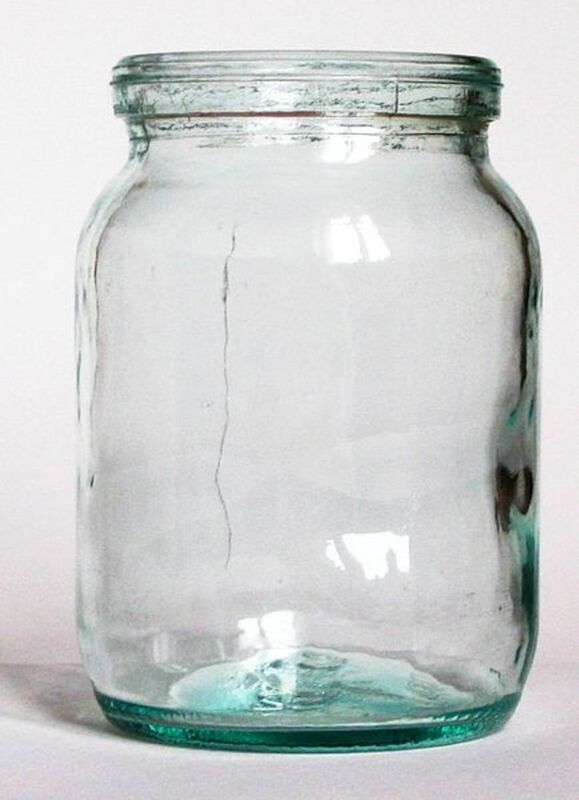 Glass container: as noted above, choose a container that will be appropriate both for the plants you intend to grow inside, as well as your level of commitment and patience. Pebbles: small stones or pebbles available at your local arts and crafts store or anywhere that sells aquariums. You can use your own, but make sure they are clean and free from microorganisms (use bleach, rinse well). Get enough pebbles to cover about 1/2 inch inside the container. This will be where the excess water drains. Activated charcoal: small, black pellets available at your local pet store. Make sure it says "activated," and that it's the granule kind, not powder. You will need an activated charcoal that is manufactured for water use rather than for air use. This will be in the aquarium section of your local pet store. Activated charcoal absorbs chemicals, odors, filters the water and air, and is very important in a closed environment. Get enough to cover 1/2 inch inside the container. 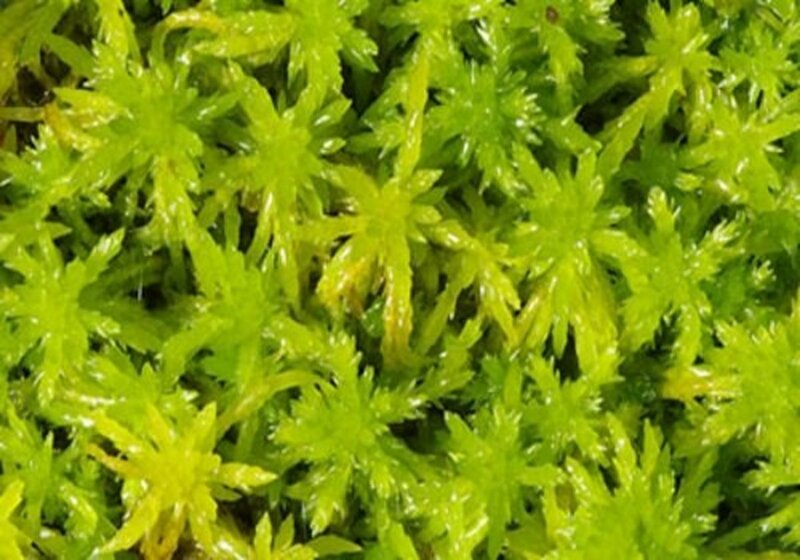 Sphagnum moss: not the same as "sphagnum peat moss," which is a powder. These long strands of moss form a barrier between the charcoal and the soil, in addition to retaining moisture. The moss ensures that the soil does not fall down into the drainage area, so you'll need enough to form a mat on top of the pebble and activated charcoal layers. The mat of moss doesn't need to be thick, but it does need to be thick enough to make sure the soil on top of it will not leak through. Soil: do not buy soil that has added fertilizer! If it says "Miracle-Gro," don't buy it. We want the plants to stay small in their miniature environment. The ideal soil will be rich, meaning high in organic matter, but make sure the soil is sterile. If you're unsure of the richness of the soil available, mix it with an equal ratio of peat moss (1:1). If you wish, you can mix some vermiculite into the soil to help retain moisture. 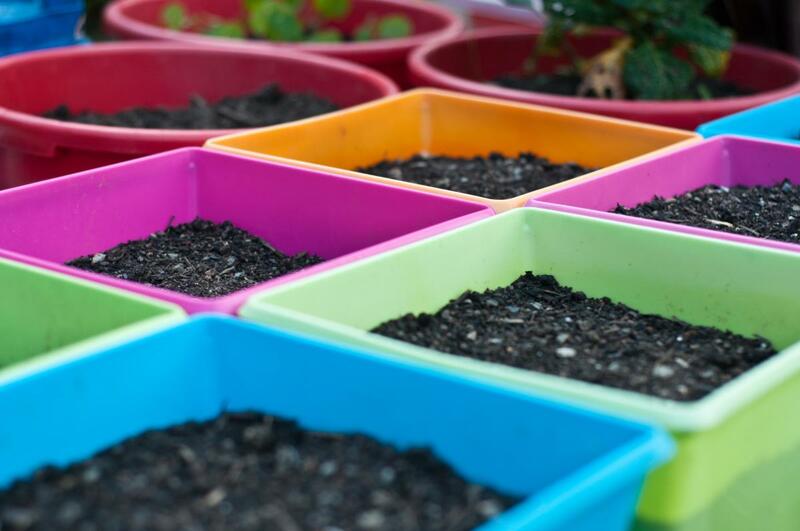 Soil should cover a minimum of 2 inches inside the container. Extras: consider using sticks, drift wood pieces, and rocks to spice up your terrarium. 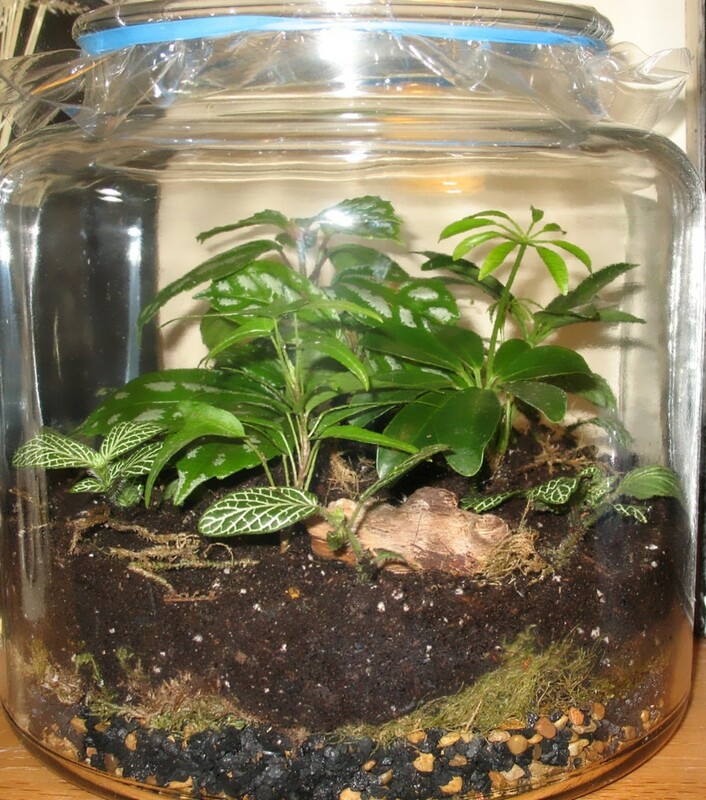 The name of the game with terrariums is to buy dwarf varieties of plants, which means that they will remain small. Lots of dwarf varieties are now available; in addition, there are many non-dwarf varieties that are naturally small. From experience, don't count on greenhouse workers to do your research for you. I ended up with a plant that shot up a foot in the first few weeks, which isn't what you want in a small terrarium! Buying blind can work out, but why waste time and money if it doesn't? I recommend doing some research online before hitting the local greenhouse or nursery. Have a basic idea of what you want to get, and bring a list of their common names and their Latin names. 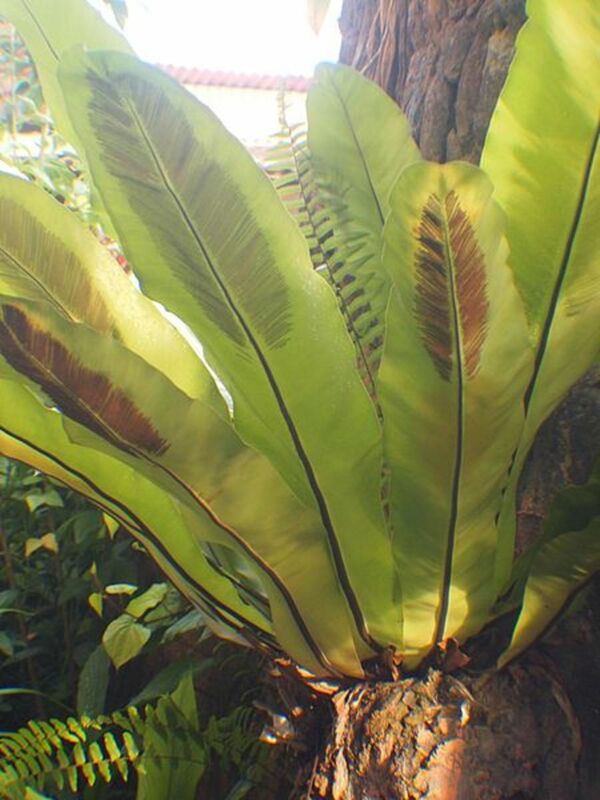 There are tons of websites dedicated to woodland terrarium plants and rainforest aka tropical terrarium plants. Then you can look at them and learn about their heat, light, and water requirements, which will be much harder to do in person. "Tropical Pillow Moss" Dicranum spp. "Dwarf English Ivy" Hedera helix cvs. Now it's time to plan out your terrarium and figure out how you'd like it to look. Arrange your plants in an area the size of your container, but make sure to leave the plants in their containers so the roots don't dry out or get damaged. One way to do this is to get a piece of scrap paper or cardboard and outline the size/shape of your container. Then you can place your plants within the lines and arrange them and rearrange them until you get what you're looking for. Remember that nature is random; plants don't grow in rows! Once you've figured out your plan, it's time to roll your sleeves up and get to work. Make your ecosystem interesting! Add hills and valleys, and play around with different looks until you get it just right! 1. Pebbles: layer the pebbles or stones in the bottom of your container. These should form a layer about 1/2 inch to 1 inch deep. I'd err on the side of an inch to ensure good drainage and to avoid root rot. 2. Activated charcoal: layer the activated charcoal on top of the pebbles or stones. Be sure not to mix the two, as we want the layers separate. The charcoal should form a layer about 1/2 inch deep. 3. Sphagnum moss: layer the tendrils of moss on top of the two layers of pebbles and activated charcoal. If there are sticks and bark in the moss, leave them. It adds to the organic mixture in the terrarium. This layer does not need to be thick; just make sure that it will form a consistent barrier to anything seeping through it from above. 4. Soil: pre-mix the soil before starting if you've planned on adding vermiculite or peat moss. The soil should be moist enough to form into a ball when you squeeze it tightly. Do not dump the soil directly into the terrarium, as this can disrupt the layers beneath and cause a mess. Spoon the soil in, or if your container's opening is small, use a funnel. Soil should form a layer thick enough to support the plants' roots--at least two inches, but a little more if you have the room, keeping in mind that the plants have to fit in the container as well! 5. 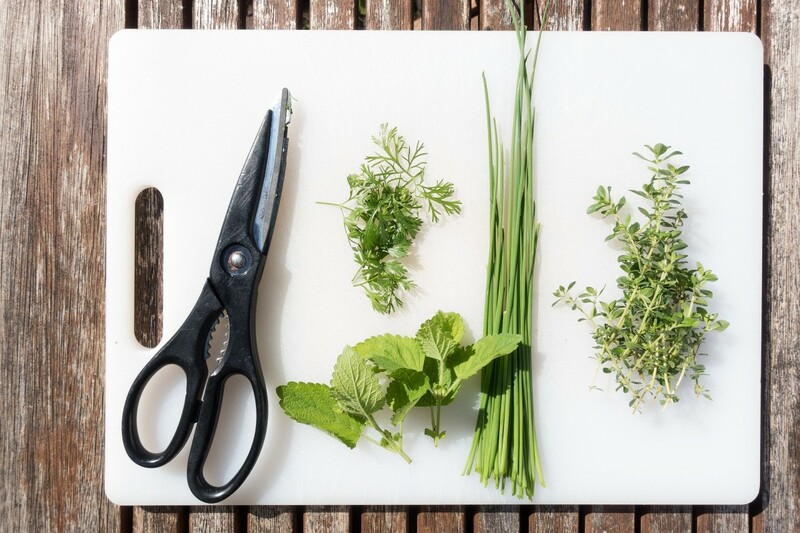 Plants: trim dead leaves, take the plant out of its pot, and remove excess soil from the roots. 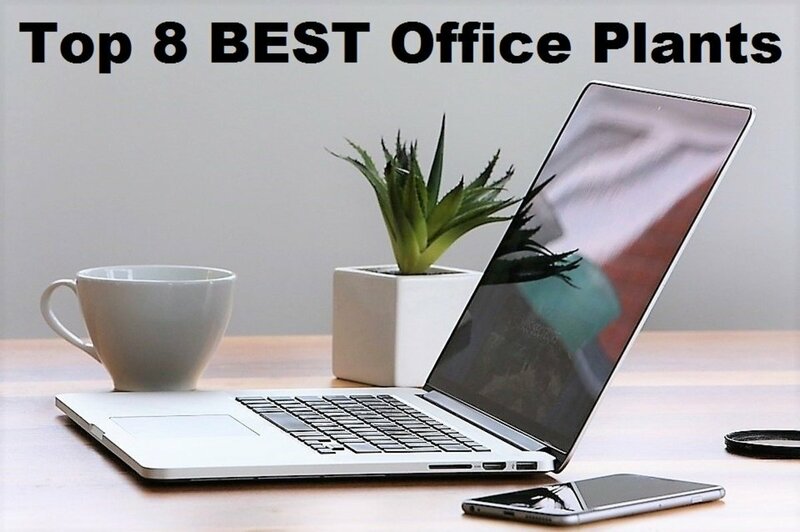 Be methodical and work from the planned arrangement. Start at the back of the arrangement and work your way across, then forward. If the opening of the container is large enough, use your hands to plant. If the hole of the container is small, you may need to use bamboo skewers in order to plant. Have patience and enjoy yourself. After all, you'll soon have your very own terrarium! 6. Sticks, rocks, bark: when everything is in order and the plants are in place, you can now add any other natural items you wish. Make sure they're washed so that they don't transplant any unwanted microbes to the terrarium. 7. Water: after planting, lightly mist the plants to wash off any loose soil. If the soil was moist at the time of planting, there is no need to water again. If the soil was a bit dry, mist it and then carefully and slowly trickle a small amount of water down the side of the glass container. The soil should clump when pressed firmly. Do Not Over-Water! If you can see water within the pebbles at the bottom, there is way too much water. Do Not Replace The Lid (if you have one) until all of the leaves on all of the plants are dry. From time to time your terrarium plants may need to be pruned (cut back) in order to continue fitting within the enclosed space. 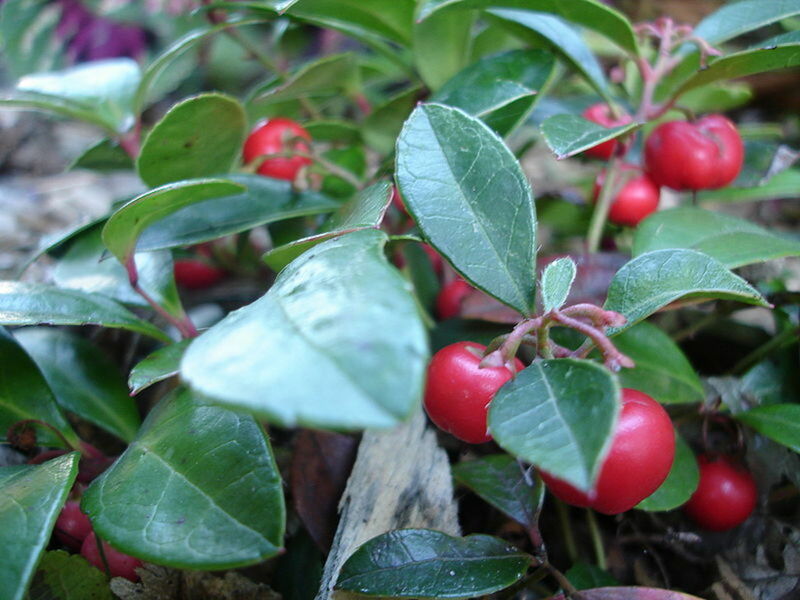 Usually this will result in the plant "bushing out" more, or growing outward instead of upward. In addition, sometimes leaves will die. You can choose to leave them, bury them in the soil, or else remove them completely. If you keep your terrarium too moist, dead leaves can begin to rot. If this happens, remove the dead leaves and let your terrarium air out for a day. If your terrarium looks dry, add a little bit of water and close the lid (if you have one.) It's always better to have too little water than too much. Other than that, there is really not much maintenance at all! If all worked well you will have a tiny ecosystem with its own microorganisms, soil, water cycle, sunlight, and organic matter. Enjoy your new terrarium! What kind of water do you use to moisten a plant terrarium? In some French tutorial is said to use mineral water; is this true? I use regular filtered tap water, distilled water, or carbonated water. I don't use mineral water because a lot of the minerals are not used by the plants and the excess minerals collect in the soil. This can cause harm to the plants. How long do plant terrariums last? Wouldn't still water accumulate at the bottom and harbor bacteria? When balanced correctly, plant terrariums can basically last forever. When you do it right, there's no water that accumulates. Instead, it recycles as part of the natural biome. The charcoal absorbs bacteria, that's its main purpose. 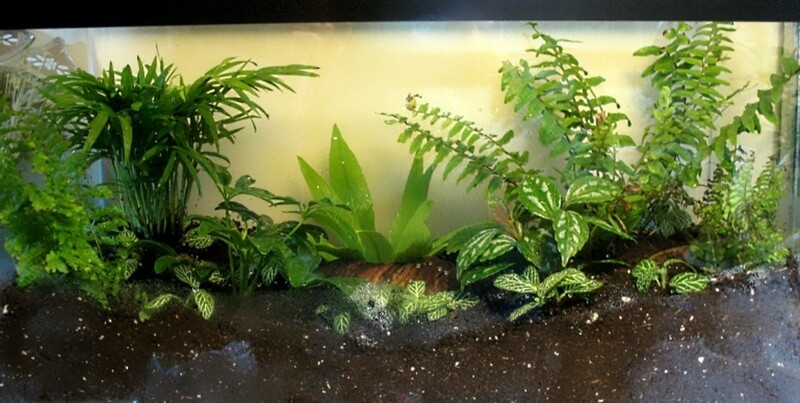 Can a fish tank terrarium be left open for plants to grow tall and drape over the sides? I'm planning to do a closed terrarium using a fish tank 2feet x 1feet x 1feet. Please tell me if this can be sustained when it is completely sealed? I'll create a hinge type opening for introducing plants. Any size can be maintained when you get the moisture balance right. I have an enclosed 125 gallon aquarium that I would like to make into a terrarium. Any ideas and what lighting we would I use? I would consult Google and YouTube on that. 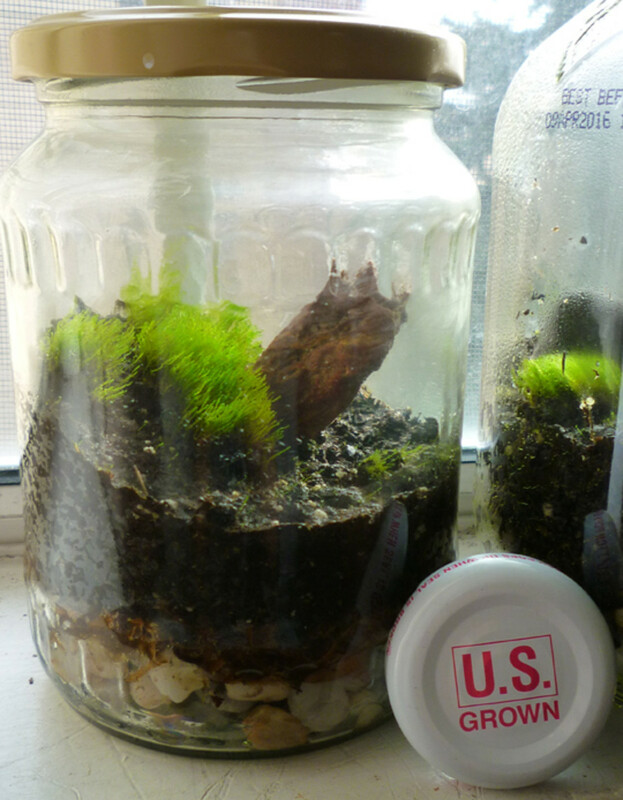 Do you add water to the soil before making the terrarium? If so, how much is sufficient? If the soil is basically dry as dust, I would add a little water just to make it easier to plant into. Just don't add too much since it's a closed environment. I would just barely moisten it enough to where it will retain the plants you put into it. This is one of the best terrarium tutorials I've seen online, Great info about which plants are most likely to get along together in one container. I wasn't really aware of this before, since most tutorials or instructions just show people sort of randomly throwing various plants together. It also tells me what direction I should lean, since I live in a small apartment that has only 2 windows, facing east and west. Thanks very much! 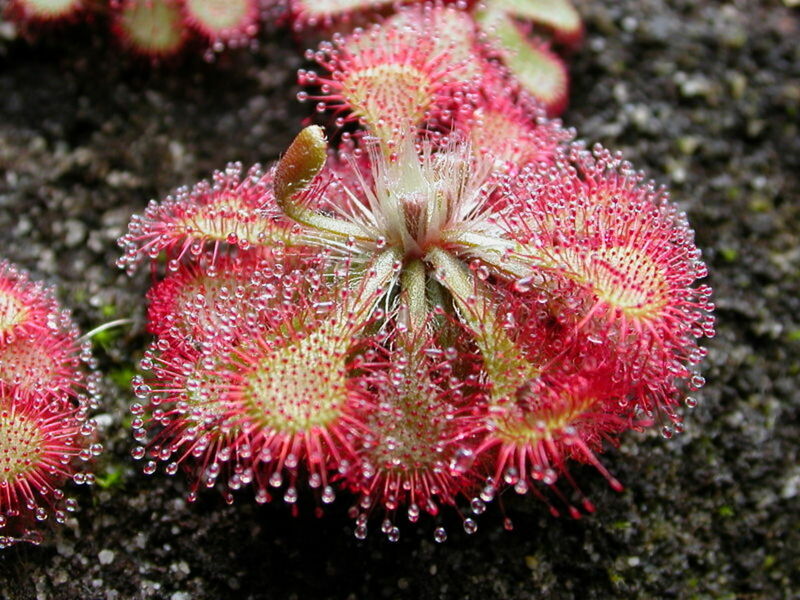 Also some really beautiful photos, esp the sundew. One of the best terrarium tutorials I've found. Hi there, many thanks for sharing your experience with us all! Just a very noob question from a newbie starting to realise his first rainforest terrarium. Do you need a proper system to heat up/cool down the terrarium temperature? When planting the plants, is it best to keep the plants in their pots or plant them directly into the soil of the terrarium? I am going to set up a large terrarium in a 30 gallon old fish tank and was curious what the best way to go about it was. This is a clever idea to have a plant terrarium. I'm going to consider this somewhere down the road for a future garden idea, and if I can afford it. Thanks for sharing this hub and your pics. 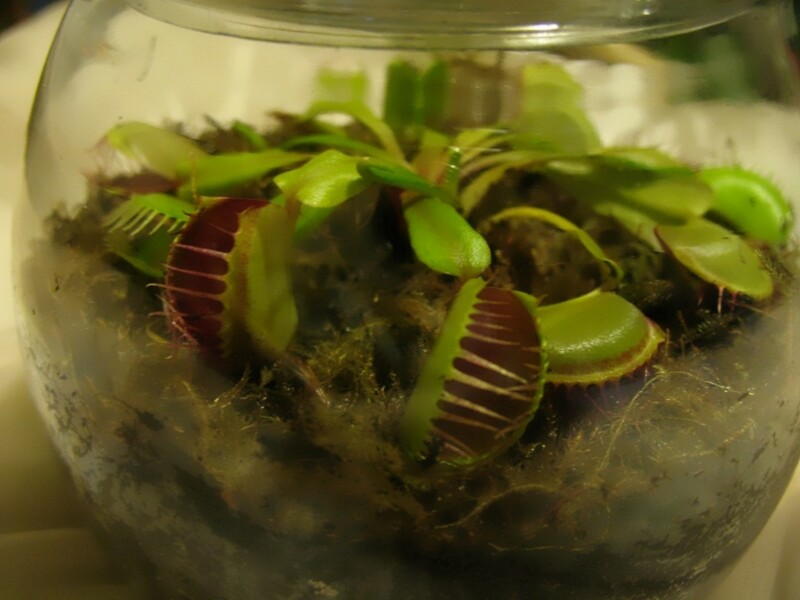 Great article, just n additional comment, Venus fly traps do NOT work in terrariums, they will die after a year or so. Also if you pick a sundew, make sure it's the tropical variety. 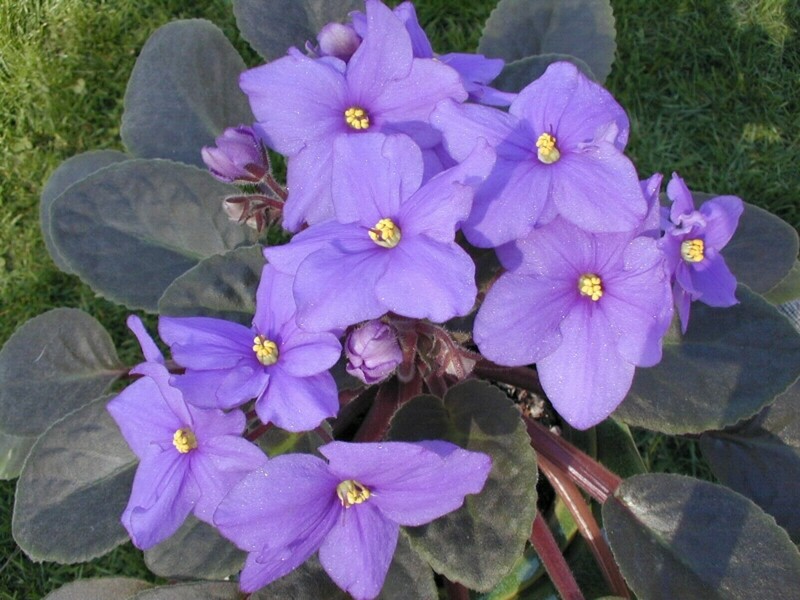 The temperate ones will also die after a year or so, they require a cold dormant period every year. This is cool. I've always wanted to have a terrarium, but inherited my brother's aquarium instead. Instead of turning it into a terrarium when I was tired of it years later, I sold it to someone. Interesting article. I'll link my one on watering and decorating with house plants to it. Thanks to everyone for the wonderful comments. I tried to cover all the bases here, but let me know if you have any questions, or have found something that works better! Very nice! Have you had much experience with Venus Fly Traps in your rainforest terrariums? I was going to put one in mine - it seems to to be compatible in terms of moisture but curious about sunlight. I read somewhere that they need a couple hours of direct sunlight and I"m worried they might not get enough in mine. Your hub is informational. I needed to know precisely how to assemble a terrarium and found what I was looking to find. I'm not exactly new to growing plants in closed containers but it has been a hit or miss situation. Thanks a lot. I am going to tweet this hub. This is very helpful. You have inspired me to give this a try. Fantastic hub! I've always loved plants and terrariums are a great way to have your own private Eden in your home. Yeah, the charcoal absorbs odors and prevents bacteria, etc. 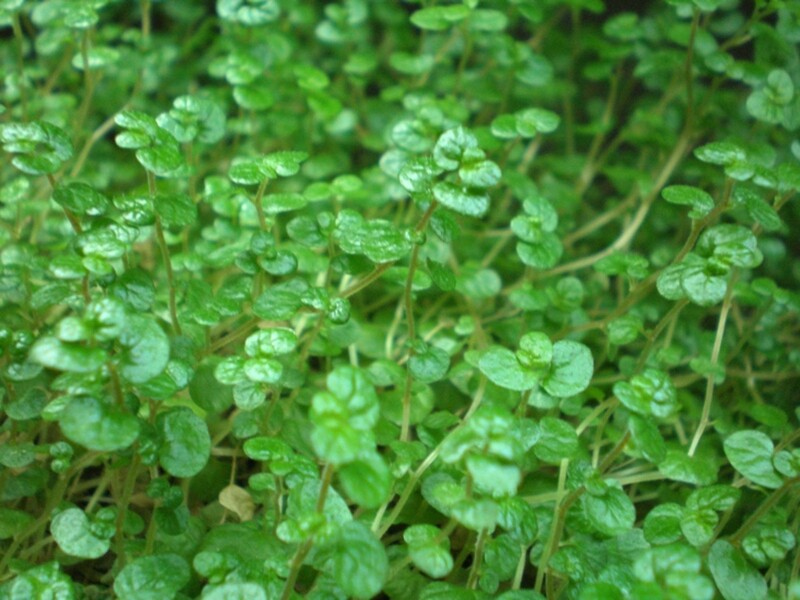 It's great to have in your terrariums, and is very cheap! Very informative and well writen, thanks for sharing your experiences and photos. I really like the Venus Fly Traps aquarium. I look forward to reading your other hubs. Peace, Love, and Happiness to you. i've never put charcoal in my terrariums. maybe next time i will to see if there is a difference in how they grow. great info. very nice hub. Beautiful pictures. I am very new to this hobby. I am wondering about carniverous plants as I know nothing about them. Can they live in a closed container if they don't catch the occasional insect or would they have to have an open container and you feed them a little ground meat or something every once in awhile? Just ran across this hub once again and must say it's the best. Thanks for all your hard work, great understandable instructions and great pics. It was a lot of work to do this and I appreciate it. Great job! This site was very helpful, but im in an 11th grade ecology class at my school, and im supposed to find how much carbon to put in a woodland terrarium? i really dont have any idea what that means, but if yu could help me out it would be greatly appreciated!! I'm hoping this will help others learn what I learned the hard way. Thank you Morgan, RunAbstract, and Wye; I'm extremely glad you all enjoyed it! Beautiful photos, great information, helpful links and product choices, wonderful article! Thank you! Excellent how-to. Great photos as well.